Lawyer, MLA (1903-1907), MLA (1908-1910). Born at Whitby, Ontario on 18 October 1863, son of Dr. Niven Agnew, he was educated in Toronto Public Schools and Upper Canada College. In 1879 his family moved to Winnipeg. He studied law, articled to J. A. M. Aikins, and was called to the Bar in 1884 before he was 21. He practised law in Winnipeg from 1884 to 1886 under the firm name of Agnew, Craig and Ross. From 1886 to 1904 he practised in Virden then transferred it to A. W. H. Smith. In 1888 he married Anna Mary Dickson (?-?). They had four children: Anna Stella Agnew (1889-? ), Margaret Louise Agnew (1891-? ), Cecil Hume Agnew (1892-? ), and Laura Millicent Agnew (1898-?). He was prominent in the Anglican Church, member of Upper Canada College Old Boys’ Association (Manitoba Vice-President), member of the Manitoba Club and Carleton Club. He served two terms as Virden town councillor and ten years as a school trustee. He was Secretary-Treasurer of the school district, and it was through his efforts that the Virden School became a model for the Province. 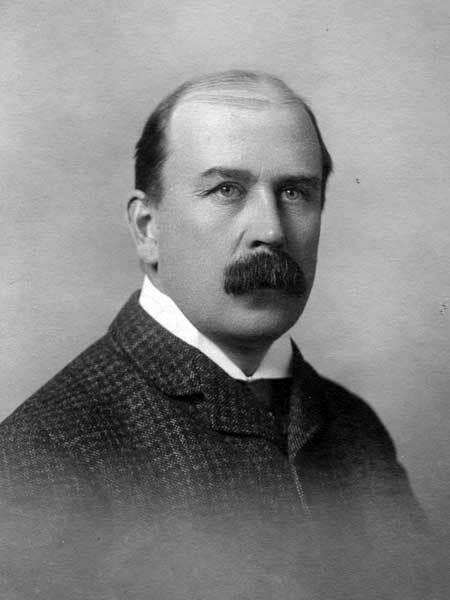 He was elected to the Manitoba Legislature for Virden (Conservative) at the 1903 and 1907 general elections. He was appointed Provincial Treasurer in 1904, being succeeded in 1908 by Hugh Armstrong. He died in Winnipeg on 9 November 1908. Birth registrations for Agnew children, Manitoba Vital Statistics.